KUALA LUMPUR (Dec 22): Ahead of the long Christmas weekend break, the FBM KLCI rose 0.52%, tracking regional markets amid shared optimism over the US tax reform, and as Bank Negara Malaysia reported a rise in international reserves. Socio-Economic Research Centre executive director Lee Heng Guie said the market was likely buoyed by the US tax reform, which is expected to lead to steady US economic growth and stronger corporate earnings. "This could mean there [is anticipation of] less risks or headwinds from external forces, and the positive sentiment should last till year end, and hopefully carry through to 2018. "The ringgit is steady and our latest foreign reserves of US$102.2 billion is a good number. So investors' sentiment is lifted," he told theedgemarkets.com. However, he cautioned investors to be wary instead of complacent, what with the general election just around the corner. There are also uncertainties about the full benefits the US tax reform would bring. Further, Bank Negara is expected to revise upwards the overnight policy rate in its next monetary policy committee meeting. "It is still early to ascertain how the tax reform can help the US economy, so we should watch the market, which may see a sharp correction (that could) tamper confidence," he added. The KLCI saw 1.64 billion shares transacted today for a total value of RM1.55 billion. Decliners were ahead of gainers at 442 against 400. 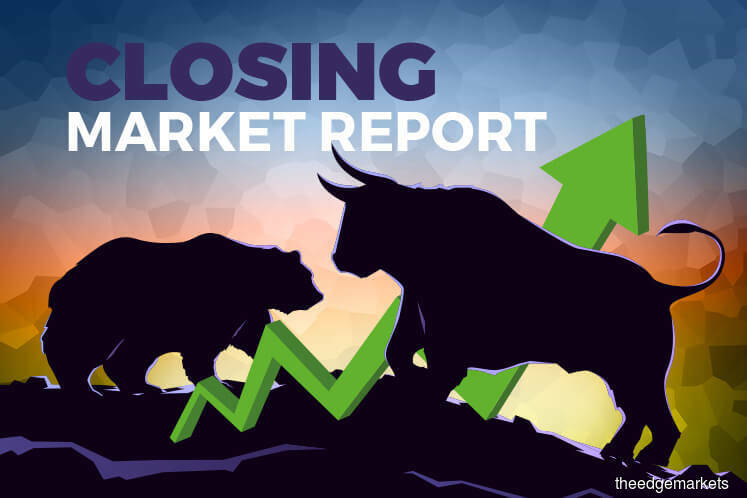 The top gainers were Nestle (Malaysia) Bhd, British American Tobacco (Malaysia) Bhd and Hong Leong Financial Group Bhd, while the losing counters comprised Panasonic Manufacturing Malaysia Bhd, Aeon Credit Service (M) Bhd and Heineken Malaysia Bhd. Reuters reported that Japan's Nikkei share average eked out small gains on Friday as gains in banks and commodities trading houses offset weakness in pharmaceuticals, while Kobe Steel stumbled after it said senior executives were aware of data tampering at the company. The Nikkei ended 0.2% higher at 22,902.76. For the week, it gained 1.6%, the biggest weekly percentage gain in more than a month, Reuters added. South Korea's Kospi grew 0.44%, while Hong Kong's Hang Seng climbed 0.72%.